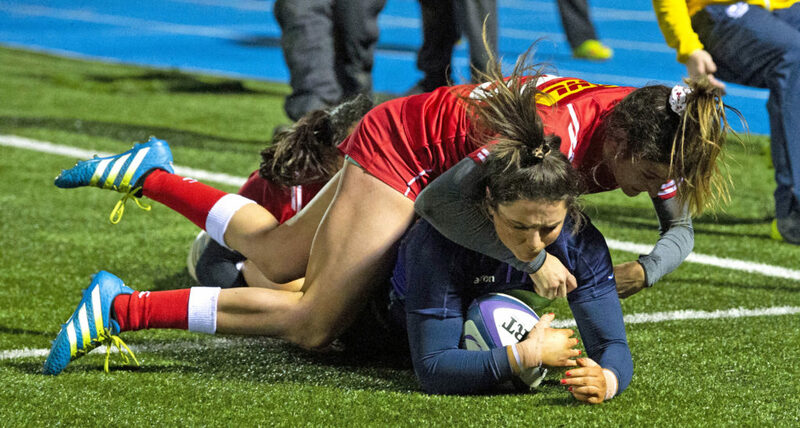 Oban’s Abi Evans gained her ninth cap for Scotland and scored her first try for her country in the recent international against Canada at Scotstoun. Abi plays for Hillhead Jordanhill in the Tennent’s Women’s Premier League. Also in the Scotland line-up against Canada was Glencoe’s Helen Nelson, who plays her rugby in France for Montpellier. Scotland women will be proud of their performance against the Canadians in Glasgow. The match was the finale of the celebration of a women’s and girls’ rugby day after two exciting finals for the Girls’ Schools Cup draw. Going into the match, Canada, ranked fourth in the world, were the firm favourites. They were coming off the back of a 38-21 win against Wales and some great performances against two England teams. Scotland Women, ranked 11th, had been back in camp following a disappointing loss in Italy earlier in the month. They were focussed with what they needed to work on and eager to prove themselves against the home crowd. Straight from the whistle, Scotland showed power and determination that hadn’t been present in Italy. They opened the scoring thanks to a Canada infringement which gave Helen Nelson the opportunity to kick a penalty. After 22 minutes, Canada gained their second try of the match after they managed to move along the Scotland line before pushing through a gap on the wings. Chloe Rollie, Lisa Thomson and Abi Evans had a few decent opportunities to break through the Canadian line, but the visitors were quick to pull their defence back. The crowd enjoyed some exciting plays including a Lisa Martin intercept just shy of Canada’s attacking 5m, thwarting their mission for the try line. Rollie and Evans took the ball up the wings, but they were stopped in their tracks at the half way line. The momentum pushed Scotland to try again. Scotland fired the ball along the line. Jade Konkel had a strong carry through the defence to gain some ground. The ball got passed out the back and along to Abi Evans who pushed through the final five metres to cross the line. A lineout just before the half time whistle saw Megan Kennedy taking the ball and pushing through the defensive line. Konkel then supported with a carry of her own before successfully achieving Scotland’s second try of the match. Lisa martin converted to allow Scotland to take the lead 15-14 at the half way mark. Into the second half and it took Scotland a short while to regain their momentum. This wasn’t helped by Canada achieving a try in the 43rdminute. Jade Konkel responded with a good carry of the ball to break the defence and their momentum was restored. With 25 minutes still to go and some fresh legs in the form of new cap Bry Nelson, Scotland’s skipper Lisa Thomson closed the margin again as she scored from close range after an impressive driving line out maul from the forwards. Five minutes later and Canada scored with a try of their own to push the gap in the score. Scotland respond immediately, and Emma Wassell got the ball over the line from close range after good phases in the Canadian 22. To add to the tension, the referee sends it to the TMO, who after reviewing awards the try. A searing break from Chloe Rollie is nearly a score but the ball is knocked on over the line. Scotland had the momentum with five minutes remaining. Canada were then penalised inside their own 22. Lisa Thomson lined up a penalty kick on 77 minutes but her effort went wide. 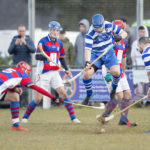 At the final whistle, Scotland had given everything but unfortunately finished up on the wrong end of a 28-25 scoreline.